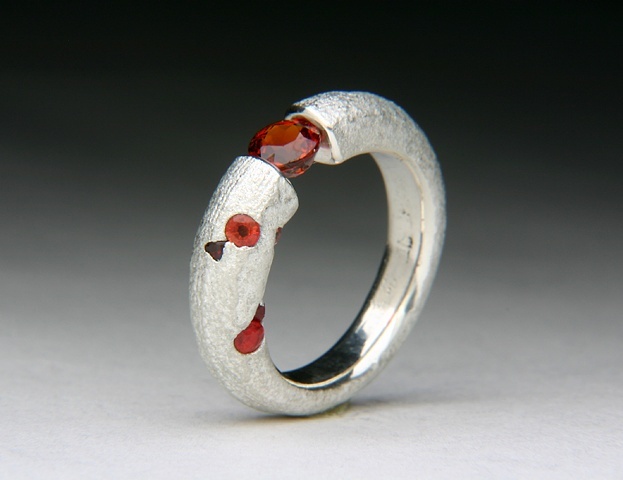 Mentions that Garnet in sterling silver with orange accent sapphire. RING SIZE: 6 1/4 please convo me about sizing; this ring cannot be sized. I will make one for you. Additional Diamonds, Rubies and or Sapphires can be used to make this ring at an additional cost.